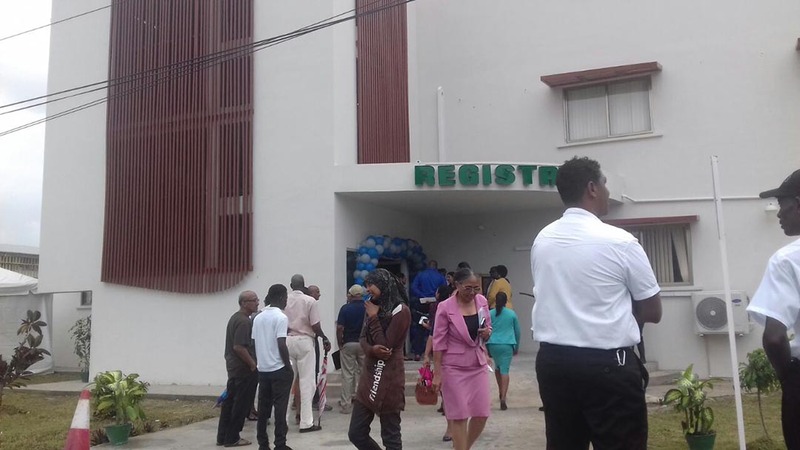 The University of Guyana (UG), in its aim to provide more effective and efficient service to students, has opened a new Registry building at its Turkeyen campus. 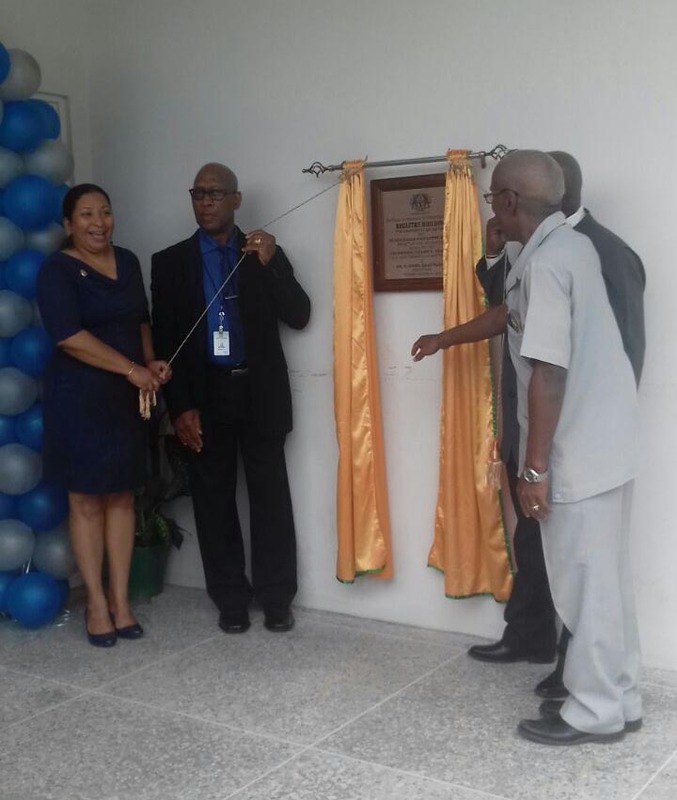 Yesterday’s opening ceremony saw the cutting of the ribbon to the new building and the unveiling of a plaque, as well as the handing over of 10 laptops to the Admissions Division, from the Education Resource Ambassadors in North America. The construction of the three-storey building was funded by UG with support from the Ministry of Education, at a total cost of $86,265,000. Immediate Past Registrar of the University Vincent Alexander recalled the eight-year-long “challenge” that had been faced in making the new building a reality. He related, though, that even before the building’s construction, the department was restructured, inclusive of the upgrading of the job requirements and job parameters, and the computerisation and digitisation of the system. He noted that although the student population has been growing rapidly, the Registry has retained the same number of staff. Currently, the Registry department of the University is staffed with 87 full- and part-time staff members, all of whom service approximately 8,000 students across two campuses and four Institute of Distance and Continuing Education (IDCE) centres. “The student experience begins at the Registry from the time of application and school visits in a structured outreach programme and can continue long after graduation when testimonials and transcripts are required from our alumni. Ours is a mission to provide a student-focused and a student-friendly environment servicing the needs of prospective, current and past students,” Gravesande stated. UG Vice-Chancellor Dr Ivelaw Griffith made a plea for students to respect the resources of the university in a bid to not reverse the work put in by others to develop it. “…Please students and staff, view this place as your place. Please, students and staff, protect this place as you would protect your own place…,” Griffith charged. “…we have the unfortunate reality of being a microcosm of our broader society, where you sometimes don’t see ownership and respect by the way in which people keep their surroundings, treat the facilities. Let us not undo the work of many people over the years and people who are continuing to do work with this university by disrespecting this place,” he added. Also delivering remarks yesterday was Norwell Hinds, President of the University of Guyana Students’ Society. “The building itself, although it serves the practical purpose of consolidating services, and consolidating their focus on student services in particular, it also serves a symbolic purpose—symbolic in the case of focus on renewal for our campus, the forging of a new attitude to the system with a philosophy of servant leadership…and that type of leadership recognises the student as an asset, as a client, as a partner…,” Hinds stated. 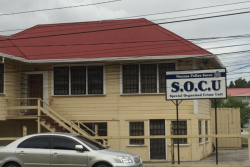 Appearing in the stead of the Minister of Education Nicolette Henry yesterday was Assistant Chief Education Officer Owen Pollard, who said that the development of the building would in turn aid the development of the country.